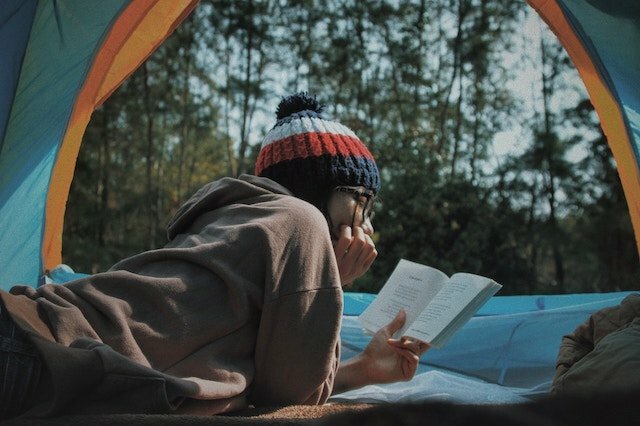 Camping is a great affordable way to take a well-deserved break and spend some time reconnecting with nature. Whether you’re building your tent in your back garden or a wild forest, it gives you the chance to spend quality time admiring your surroundings. 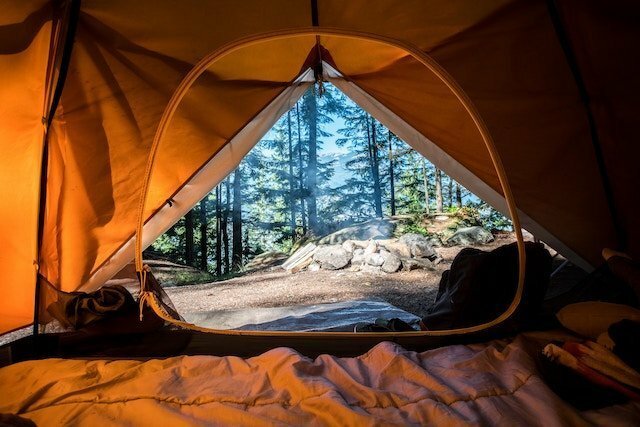 If you’re someone who likes the fundamental idea of camping, and at the same time, wants to make the experience more attractive, we’ve put together our 5 favorite accessories to turn a camping trip into your first glamping trip. What makes a good tent? Well, that is entirely up to you and the sort of camping trip you’re after. 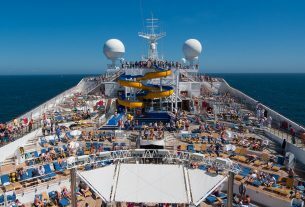 Do you think you’ll be stopping for regular short breaks? Maybe a pop up is the best tent for you. 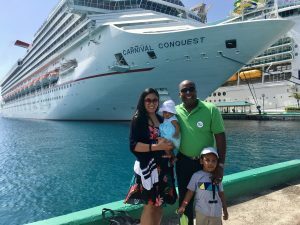 Perhaps you’ll be traveling with your family or with a group? A family tent will suit you perfectly. If you’re short on time, or maybe if you’re pitching in the dark, an inflatable tent will take you minutes to put up. If you’re looking for a more extended trip in something you can pitch for a good few days or weeks, you could invest in a large bell tent. Reading up on the different tent types can massively impact on how stress-free the basis to your glamping trip is. Think of the awning as the extension of your house. It involves building a structure with canvas and frames to create a porch-like living space. If you’re trying to glam-up your current tent, an awning is a surefire way to have a cozy outdoor area to eat meals and relax with friends. If you’re looking to spice up your caravan, and traditional poled awnings feel like a lot of construction work for a glamping experience, you could research air awnings which inflate in less than a minute. 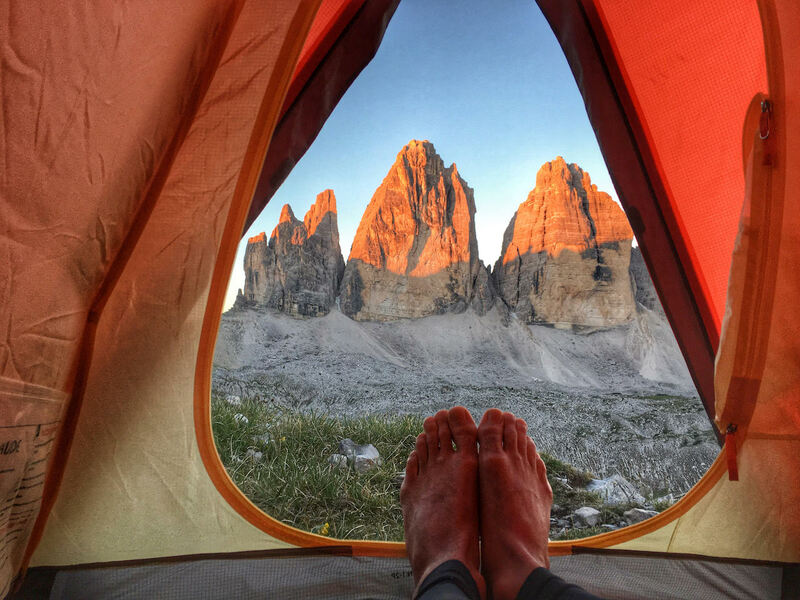 After building the base of your tent, your next step should be thinking about your bedding. This is a tricky one to get right as you’re likely to be traveling light. An air bed is an excellent option if you need something to fold away, and there are some now that come with built-in pumps – no loud air pumps required! As convenient as an air mattress is, they aren’t the most comfortable choice for a glamping trip. A mattress topper can provide support on top of a camping bed and help you get a five-star sleep, while a memory foam mattress could be used on its own if you’ve got the space for it folded up. Worried about sleeping in a hot tent? In the heat, you can use natural cooling pads under your pillow and body, and in the winter a thermal blanket can turn a night of sleep from uncomfortable to luxurious. A portable gas stove is a fantastic way to cook hearty meals without having to wrestle with logs for a fire. They can usually be packed away into neat boxes, and allow you to fry, boil, steam, and sometimes grill. If you’re on the lookout for luxury recipes, we’ve found a great list of meals for the perfect glamping trip. Now you’ve got a good base for a luxury trip, it’s time to start decorating! This can help make your glamping experience feel as fancy as you like. 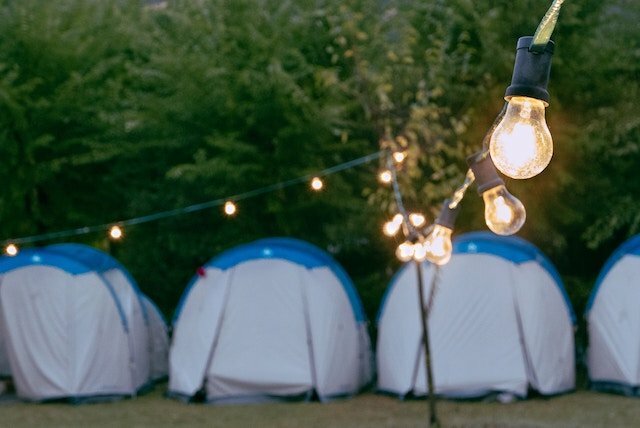 Battery powered fairy lights are a cost-friendly way to add some warmth to your tent. You can get different colors or shapes and can use clothes pegs to help attach them to your tent fabric or caravan window sills. For exterior decoration, some colorful bunting can be wrapped around your temporary home, and some bright cushions can be scattered around the bed for a homely touch. 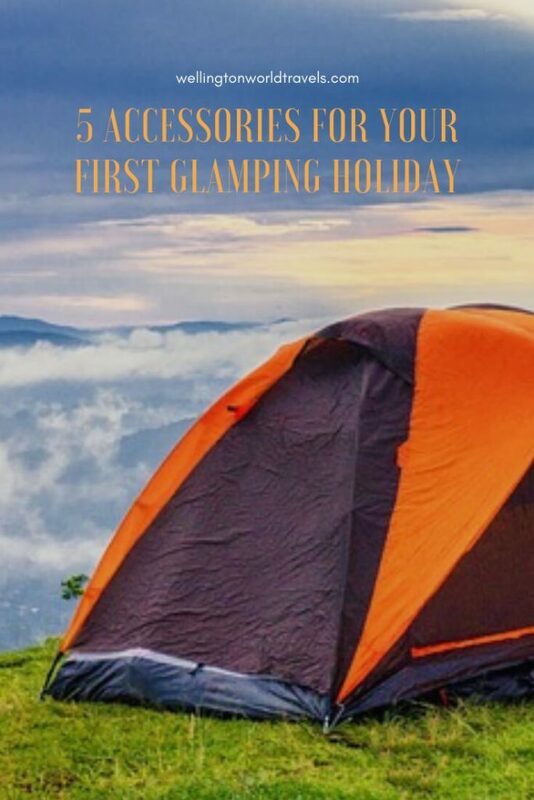 Hopefully, this is a good starting point on the additions you can make to your tent or caravan that turns your camping trip into a glamping trip. Whether you want just to add a few accessories to a pre-planned trip, or go all out and build an awning from scratch, just a few touches can make you feel pampered. Photos do not belong to Wellington World Travels. All Pictures used in this post were provided by the author and used with permission. | For DMCA Notice, please contact us immediately. I have only done camping once. I was with an expert hiker and camper however, she forgot about our tents awnings. LOL. LOL. I wonder how that went. My family and I have been thinking about going glamping soon. Thank you so much for the helpful tips! Same here! I am just waiting for my baby to learn to walk so she can also enjoy it. Great! I haven’t experienced camping, it must be a an awesome experience. I love this! My family really enjoys camping but I’m not a huge fan of the “ruggedness” these are great tips for me so I can enjoy our camping trips more! I know right?! But that’s the whole purpose of camping. lol. I am not a fan of ruggedness as well. So glamping for me! This article makes me want to go glamping asap! Love the fairy light idea. This is so informative post about camping & stuff. I haven’t tried some of it so this post will come in handy. It is! Glad you find the post helpful. I love camping!! 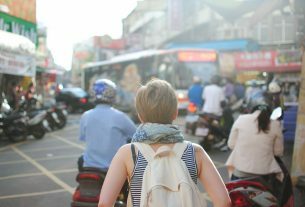 This post reminds me to go travel camp next year. Love all of the ideas! Thanks, Maysz. Go for it! This totally reminds me of the first time I went camping and asked my friend if I could carry a portable stove. His response was, “NO! We eat like primitives do!” Needless to say, he suffered for that decision. But how cool is to glamourize the camping scene! LOL. I still can’t stop laughing. ‘eat like primitives’. I wonder how that went! Inflatable awnings are great, easy to set up as opposed to the ones with rods….. It took time to install and set up….. Inflatables are way to go then…..
That’s good to know. Thanks Jeferson. I love camping so much! I love the idea of decorating. I have always wanted to try out glamping! 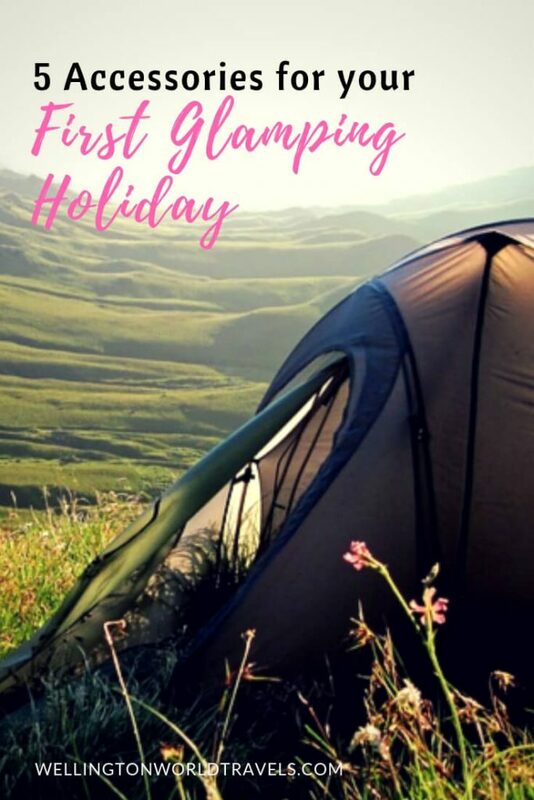 Never experienced glamping holiday, will plan now with your wonderful tips. Glad you find the post helpful. I love going camping, but I never thought to decorate where I would be camping at. Thank you for the idea. There are several glamping sites now in the Philippines! Great tips you got here. But this post is not just for me. I am very adventurous but camping is something I don’t want to consider doing. There are many factors that has contributed to my decision. One of the prominent one is that I am scared of animals and the thought of sleeping in there midst kind of freaks me out. I don’t want to some kind of animal to have me and my family for dinner. I guess I watch too much movies. It’s fine. I totally understand. I haven’t done camping in my life and I also think it’s not for me. I am adventurous but I am still looking for that level of comfort. SO I guess I’ll try a glamorous camping. Thank you for sharing your thoughts. I appreciate it. I love this!! Thanks for the ideas!